Diabetes Blog Week is almost here!!! Are you ready to start posting on Monday? Here are a few things you might need to know!! I’ve been adding participants to the Participant List as quickly as possible. I have a few more that I will add as soon as I publish this post, and that will bring us to 148 bloggers singed up! (Yay!! You guys ROCK!!) Please check the list to make sure I’ve added you and that your info is correct. If you see any problems, please shoot me an email and I’ll fix it a.s.a.p. 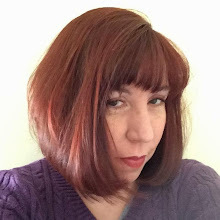 A few bloggers who have blogs that aren’t “all diabetes, all the time” have asked if they can participate in DBlog Week. The answer to that is a HUGE YES!!! As long as you are willing to blog the daily prompts, you are part of Diabetes Blog Week, so go sign up!! Don’t have a blog at all? You can still participate in Diabetes Blog Week. Joslin Diabetes Center has put out a call for DBlog Week submissions to be published on their blog! See this post for all of the information you need on submitting your DBlog Week contribution. To those of you who sent along comments on your sign up form, THANK YOU!! I had a great time reading them and they made me smile. If you sent a question, I should have emailed you back with an answer. If I didn’t, I apologize and blame bleary eyes from adding almost 150 entries to the Participant List. Please email your question and I will make sure to answer you. I want to explain the Topic and Link List a little further, for those who are first time DBlog Weekers. The topics for the week are listed, you can start drafting your posts in advance or you can check the list each day for that day’s topic. This year we will be doing Link Lists again - if you are unfamiliar you can see one from last year. Each day, once you have published your DBlog Week post, please return to the Topic and Link List page and click the link to that day’s Link List. Please enter the NAME OF YOUR BLOG in the “Your name” field and the URL OF YOUR POST FOR THAT DAY in the “Your URL” field. Please do not add any links to the list until we have reached the corresponding day and your post has been published. Any links posted early have been removed. Is it too late to sign up? NOT AT ALL!! Just fill out the form found here (scroll down a bit) and I will add you to the list! 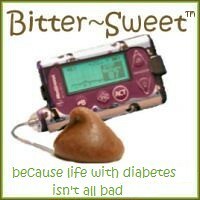 Thanks again for all of your enthusiasm about Diabetes Blog Week! It wouldn’t work if you all didn’t sign up to participate, so I honestly couldn’t do this without YOU!! I can't wait! This feels like an anniversary to me since last year's dblog week was my first real introduction to the DOC. hey that's funny kate, 'cause it was mine real introduction too! and thanks karen for all your hard work with it. you do a great job, and i'm really looking forward to monday!